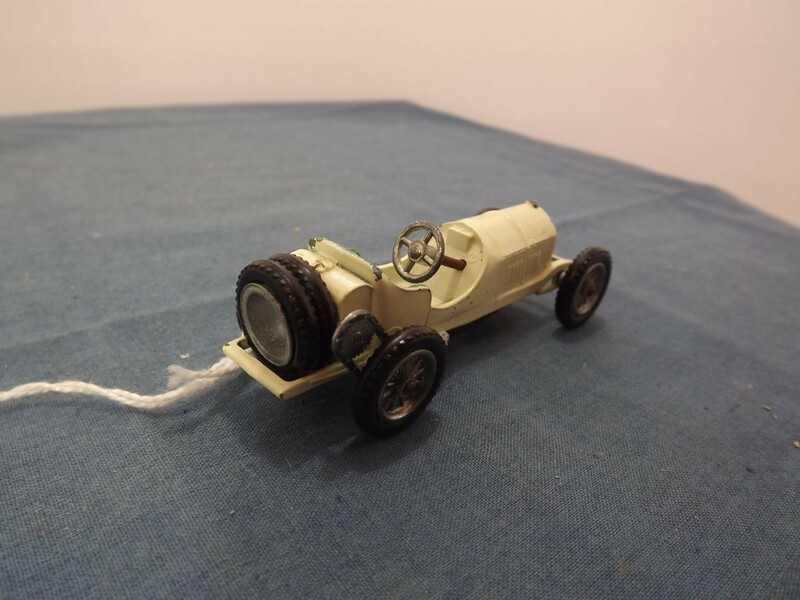 This model is the Matchbox Yesteryear Y10-1-A-8 Grand Prix Mercedes (1908) in Cream. It was packed originally in the type C line drawing or D1 picture style box. 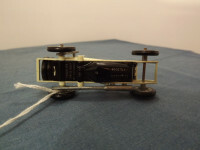 The model has two spare wheels. 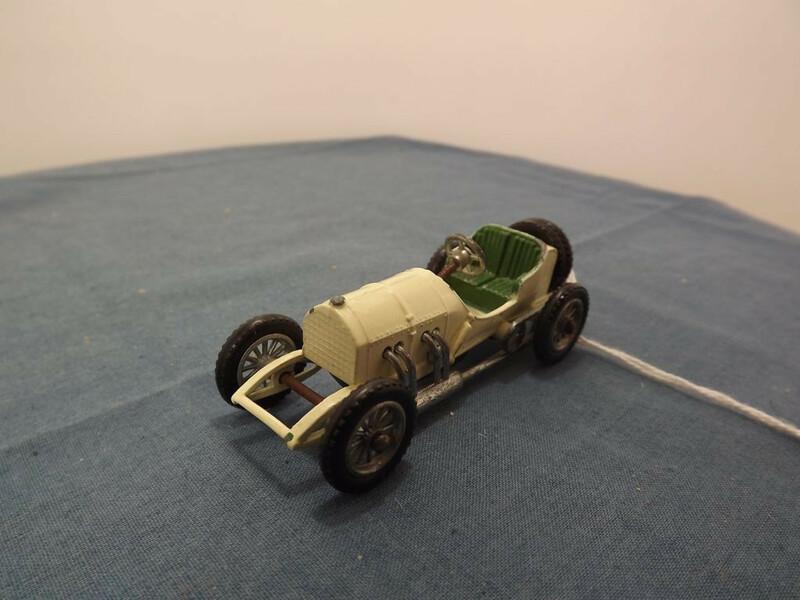 The interior consists of dark green seats, silver steering wheel and cream dash board. 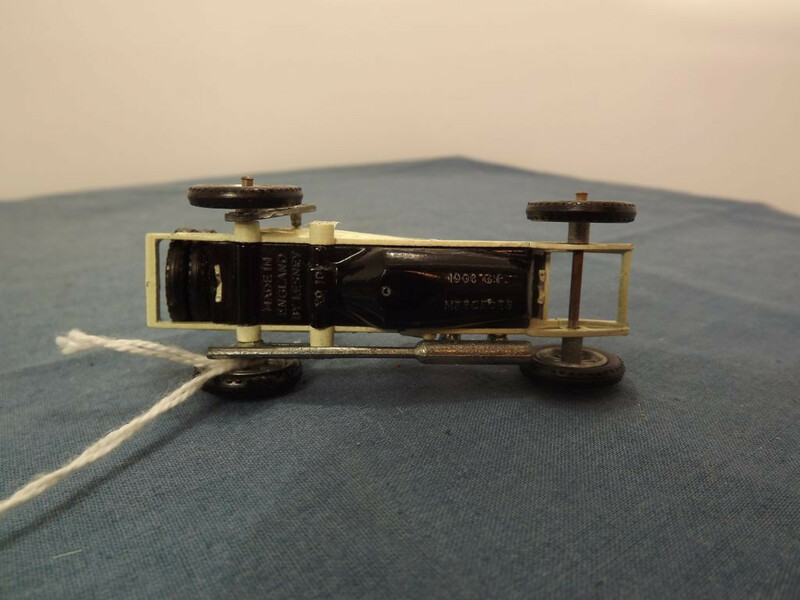 Other Comments/Identifying Features: The model has 3 lines of text on its base towards the rear that read "Made in, England, By Lesney". The model number "No. 10" is cast on the base, on the chain drive mechanism, in the centre of the base. "1906 G.P., Mercedes" is cast on the engine sump. The base is held in place by two spread rivets. There is a separate casting for the exhaust system. The Steering wheel has the large centre dot, the spare retainer is thin, it has two spare tyres, and the model has two exhaust webs. The seat side panels are of type 2. Issued between 1958 and 1963, with a stated scale of 1:54.